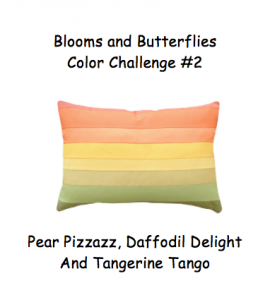 This is the card that I created for this month's color challenge. I love how it turned out and it was sooo easy to create! It is basically a one layer card! 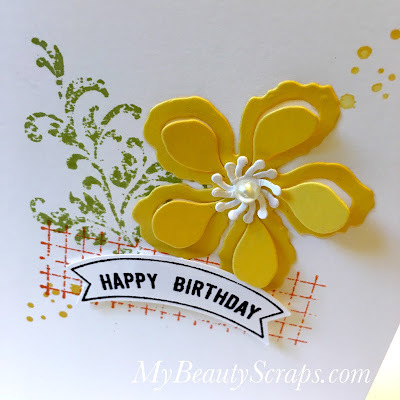 I love how the flower die cut has built in dimension even when glued right to the card front. And, the Banner Duet Punch is my new favorite tool! You can save 10% when you buy it bundled with the Thoughtful Banners stamp set. When you use them together you can easily create sentiments for countless occasions! I popped the banner up with Stampin' Dimensionals for little extra pop. 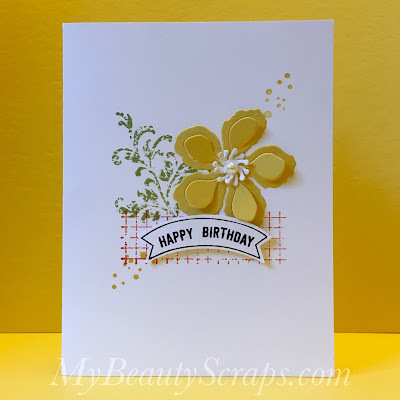 Here's a closer look at my super simple card and below is a video sharing how I created it!